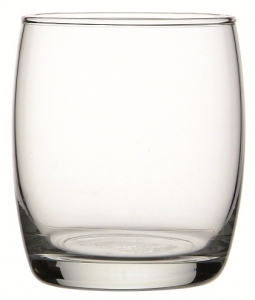 Glassware is an important factor when it comes to events, functions or the office kitchen. It isn’t a new idea when it comes to promotional items but it is certainly an effective options. Choosing the promotional glassware to use is important though; you need something that can be used for multiple purposes but still looks professional enough for meetings. A high quality glass is important as is a product that is well made; if you can fit a logo print on it, than you can turn a simple glassware item into a promotional product. Tumblers come in all shapes and sizes but when you are looking for something special for your next event or to impress in the office, the Ivory Double has a modern and stylish look that everyone will love. One of the great things about promotional glassware is that it can be used and presented in so many ways – gift boxes, gift packs, wine packs or used as its own packaging with a small gift inside. Our Ivory Double tumbler can be presented with a quality bottle of spirits in one of our gift packs. Glassware is a great promotional items for a number of reasons. Firstly, they are acceptable giftware for a range of people, and secondly, due to the very nature of glassware, you can be sure it will be used over and over keeping your brand top of mind. The Ivory Double has a large capacity of 320ml with a large logo print area making it a perfect promotional glassware item for any upcoming promotional events and campaigns.